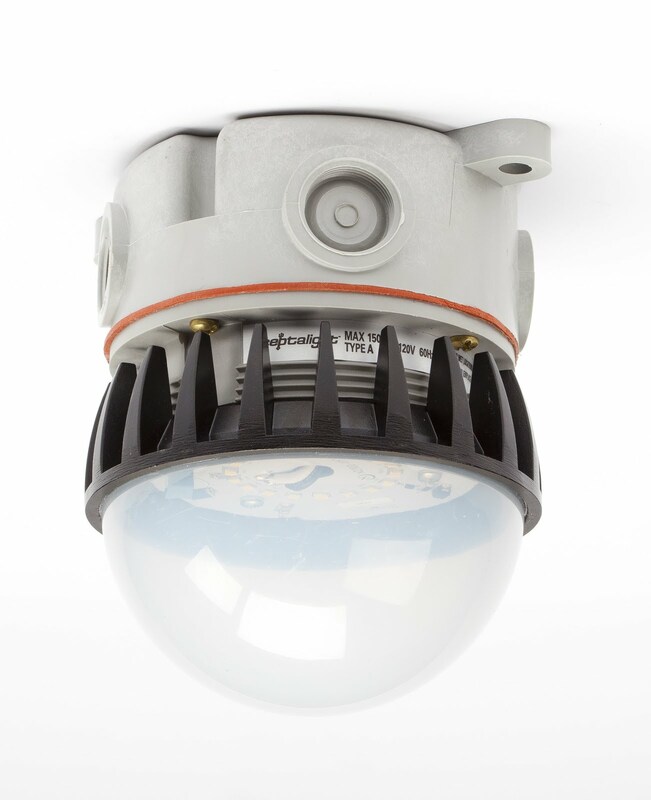 Ipex’s Sceptalight fixtures are made from a glass-reinforced thermoplastic polyester resin, which enable them to stand up better to corrosive elements than metal. 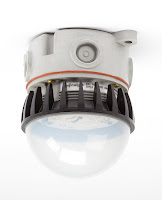 Mounting options include ceiling, wall and pendant mount configurations. They are available with standard clear glass globes or polycarbonate globes that provide impact resistance in the event of accidental contact. Reinforced support feet offer secure mounting. Threaded conduit hubs permit connection to nonmetallic and metallic raceways. Thermoplastic construction resists attack from acids, alcohols, alkalis, organic solvents, detergents/ cleaners, greases and oils as well as many other types of chemicals. High-impact nonmetallic guard resists physical impact, chemical attack and heat-induced deformation. 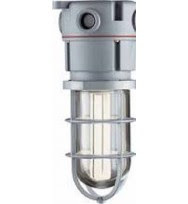 Non-metallic LED, compact fluorescent and incandescent light fixtures for indoor and outdoor use. 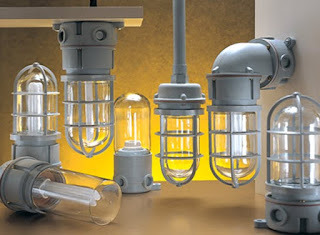 Standard clear glass globes are ideal for general purpose area lighting for either indoor or outdoor use. Polycarbonate globes offer impact resistance in case of accidental contact and the assurance that work areas are not contaminated by broken glass. Colored globes – available in red, blue, green or amber – can transform the light to an indicator or warning light. *Wall mount fixtures are available in all styles (wattage and globe), please call us and ask one of our employees for the style that you are looking for.